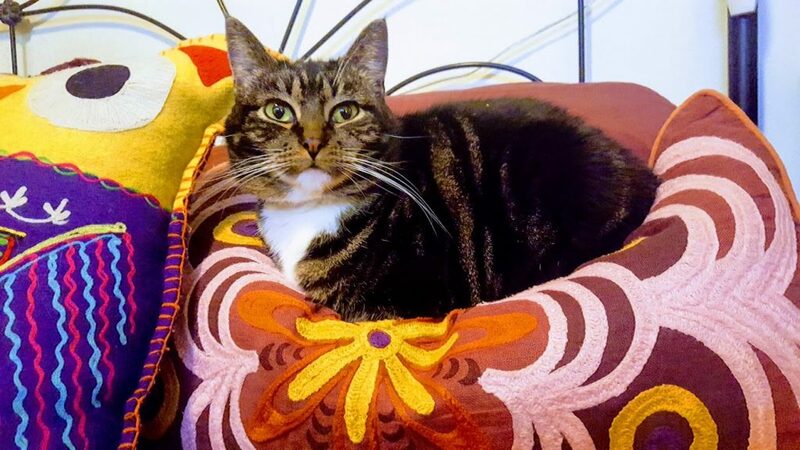 Sparrow is a 3 year old LOVING, GENTLE, shorthaired, indoor only, female tabby.She has no health conditions and is current with her vaccinations. I will happily provide documentation of her records from Blue Door Veterinarian. The only odd-ball thing is that she does drools when she is being pet. I confirmed with Blue Door that it is not a symptom of anything than being happy. It is endearing since she is a dainty princess in every other way. Whomever is lucky enough to adopt this bundle of love will also need to keep a small towel around to wipe her chin during petting sessions. She is very playful, cuddly, and well-behaved. She has a polite and cheerful little meow and lightly darts about, which is how I came to name her after a bird. It is quite HARD to part with her but I already had 4 cats when I took her in last winter. She was likely a lost or abandoned baby 🙁 I intended to only keep her safe until finding her a permanent home but she is so pleasant that I have put it off too long. However, I need to give her up for her own quality of life. She unfortunately gets bullied by one of my other cats. She is friendly with my other 3 cats and a large dog but because but because of the one, she spends all day and night in my upstairs bedroom closet and bathroom. I know she is not a true “scaredy cat” and wants to venture out and explore but cannot because of this one other kitty. I don’t want to leave her cooped up like this 🙁 Please, if you or someone you know can give her a safe forever home you will not regret taking in such a dear girl.